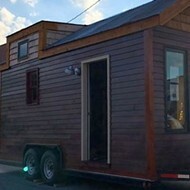 The tiny house that was stolen from near the corner of Michigan and Gravois avenues last weekend has been found. 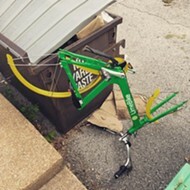 The theft of this property was a complete embarrassment to the City of St. Louis, and it had us thinking that our prodigious thieves would steal literally anything that wasn’t chained down, even if it was a freakin’ house. Sheriff Dave Marshak from the Jefferson County Sheriff's Office tweeted a photo of the kidnapped house today and said that detectives had located it and were working on getting in contact with its owner. 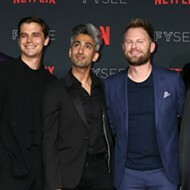 A very happy (and very tiny) reunion is sure to follow. Yay for the good guys. Meghan Panu has posted on her Facebook page that she is headed back to St. Louis with her tiny house.